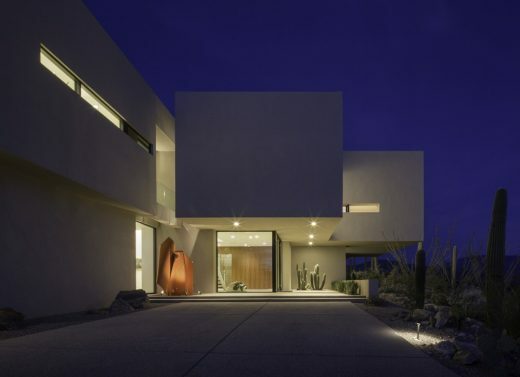 There are only a few instances in an architectural career where a client and an architect’s vision unify into an immaculate and complete expression of art and architecture. 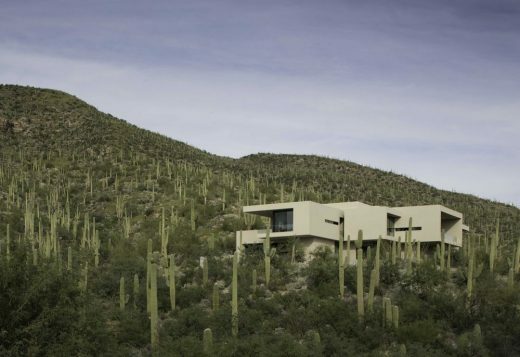 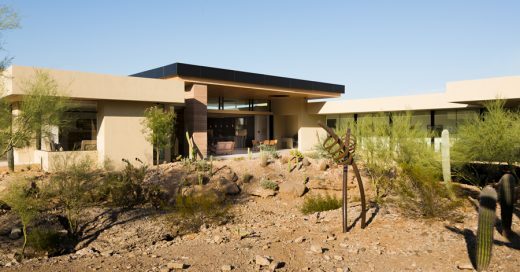 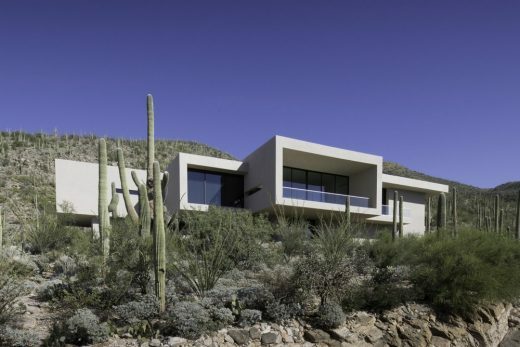 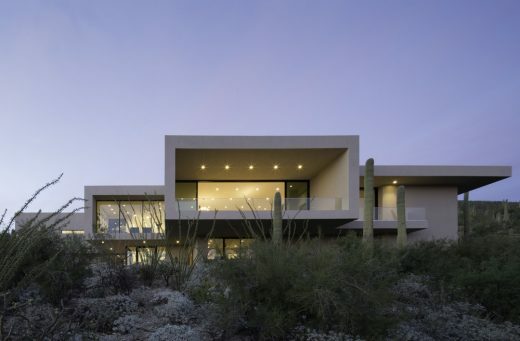 Kevin B. Howard Architects were very fortunate to work with a couple who, devoted to the ideals of minimalism’s stark allure, asked us to design a house in the foothills of Tucson, Arizona, located in the profoundly diverse Sonoran Desert. 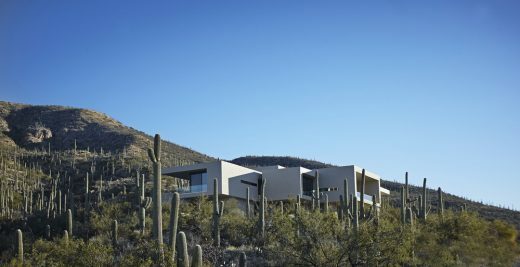 The house’s hillside location required that we take advantage of the boundless vistas while protecting the owners’ carefully curated collection of art and modernist furniture as well as the desert itself. 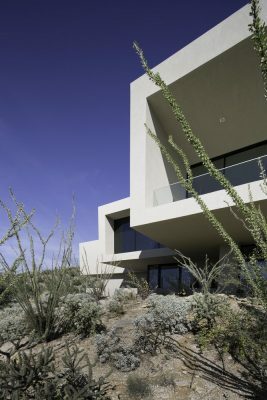 These diverging conditions resulted in the elevation of the major living spaces to the upper floor. 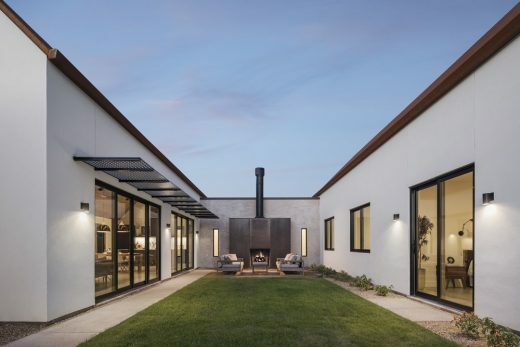 The considerable programmatic shift reduced the footprint and the construction impact, as well as reiterating the owners’ vision of gently touching down upon the earth. 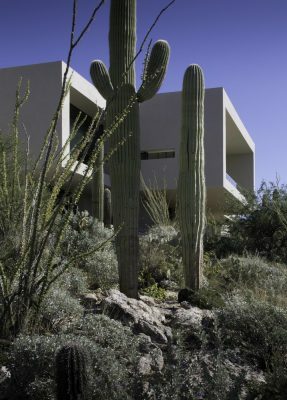 Kevin Howard’s assertion that “The desert is very slow to heal” can be seen in the surgical location of the residence around and within the numerous Saguaros on the site. 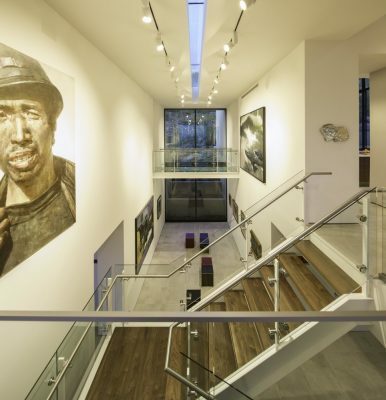 The inclusion of gallery space and its appropriate protective measures overlaid the architectural program. 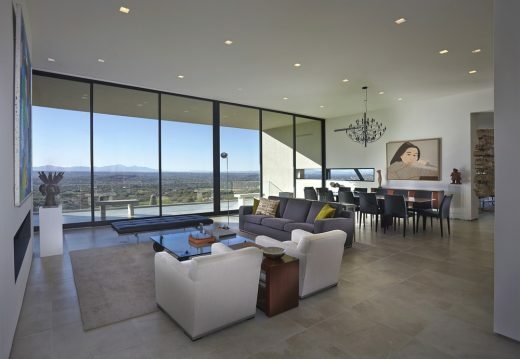 Miesian glass walls were replaced with a studied array of spotless shadow boxes protecting deeply recessed glass panes. 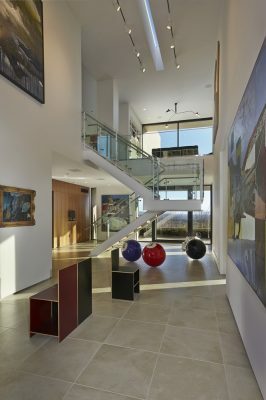 The clients shared their inspiration and enthusiasm for Renzo Piano’s Atrium in the Modern Wing of the Art Institute of Chicago. 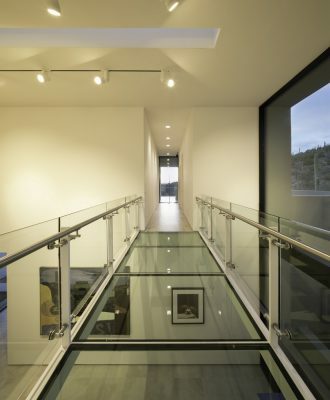 The interior stair acts as a tectonic centerpiece, contrasting the formal execution of the main atrium while matching its clarity and refinement in detailing. 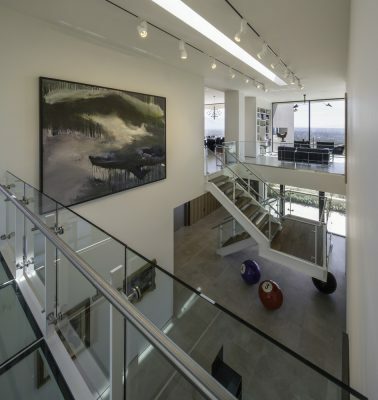 This Atrium houses the bulk of the owners’ art collection and connects the upper and lower floors of the residence. 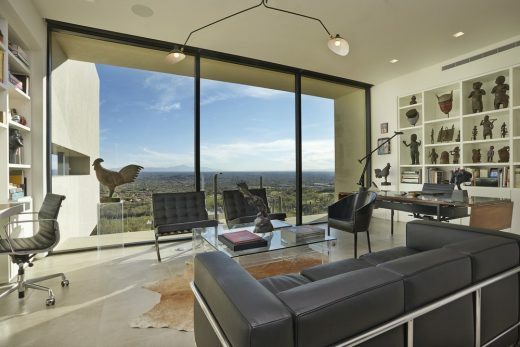 The height allows the living spaces to breathe and provides a new appreciation of the various pieces of art as they are viewed from different positions in the house. 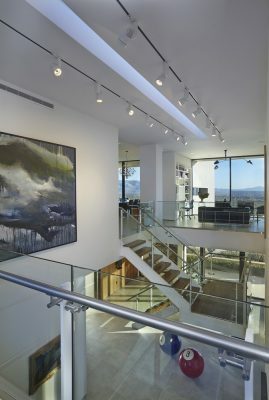 A single continuous skylight centered down the middle of the gallery marks the passage of time without harming the cherished art held within. 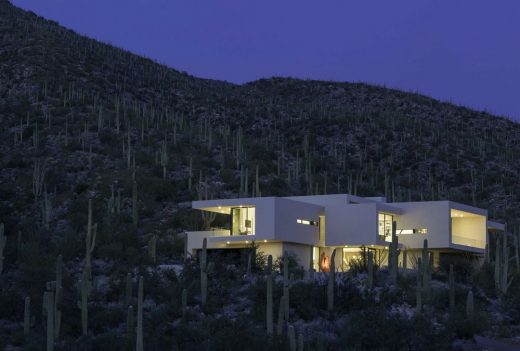 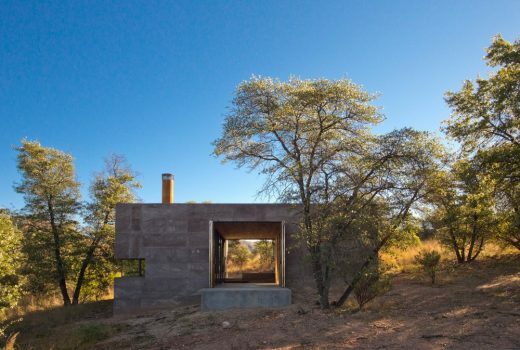 The main living and dining spaces face south, framing the view of the desert below in a perfect unobstructed volume. 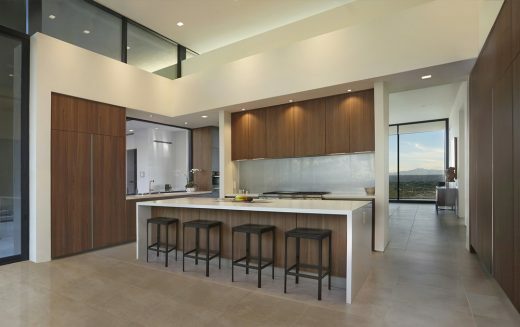 image : blank studio, Inc.